Welcome to the Lakewood Trails Neighborhood Association website! We are committed to maintaining the beauty, safety and quality of life in Lakewood Trails. Through involvement and service, everyone can ensure that Lakewood Trails is a great place to live. Please contact us to join our email list, volunteer your time, or with any questions or concerns. 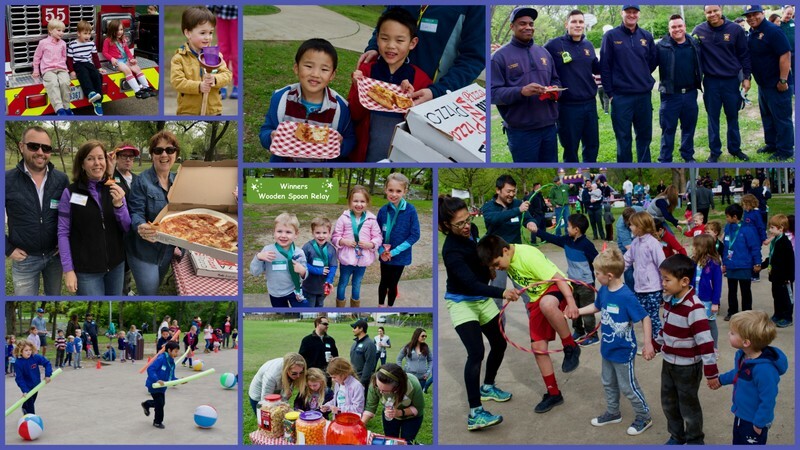 Come enjoy the great outdoors with your neighbors! Grab your picnic blankets or chairs and join the fun! LTNA will furnish the pizza. PLEASE BE SURE TO RSVP ON EVITE as we need to make sure we have enough pizza for everyone. Also, please sign up on the Evite to help set up, clean up, run games and provide items to share: water, kid's drinks, ice, desserts or chips. All help is much appreciated! We would be especially appreciative with help running the games! We are looking forward to seeing you and your family there! Email Neighbors@LakewoodTrails.net if you have questions or need more information. Please be aware that alcoholic beverages are not allowed at the park. Talk "dirt" with your neighbors, enjoy eats and drinks, and take home some cuttings for your yard. 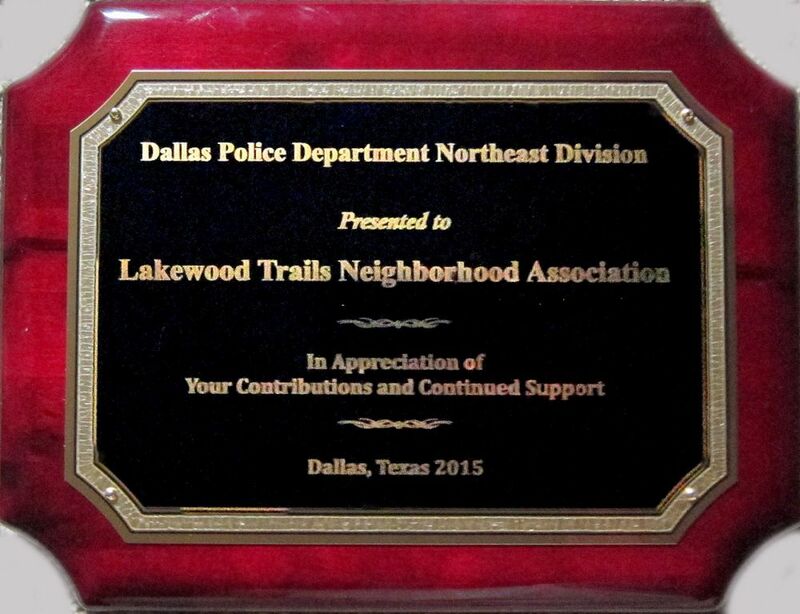 In December 2015, the Dallas Police Department Northeast Division presented Lakewood Trails Neighborhood Association with this beautiful plaque that reads: "In appreciation of your contributions and continued support." Congratulations to Karen and Dan Morrison at 6829 Inverness, Lakewood Trails April 2019 Yard of the Month! Just a reminder that irrigation of landscaped areas with hose-end sprinklers or automatic irrigation systems is limited to no more than twice per week according to the MANDATORY schedule by the City of Dallas. No watering is allowed on Mondays, Tuesdays or Fridays and from April 1-October 31, watering is prohibited between 10 a.m. and 6 p.m. on the allowed watering days. Residents with street addresses ending in an even number (0, 2, 4, 6 or 8) can water on Sundays and Thursdays. Residents with addresses ending in an odd number (1, 3, 5, 7 or 9) can water on Saturdays and Wednesdays. These restrictions apply to automatic or in-ground irrigation systems and hose-end sprinklers only. Watering by hand, drip irrigation or the use of soaker hoses will be permitted at any time.